Mayflower International Development Co., Ltd. is a professional LED flashlight manufacturer and exporter, founded in 2008 in Hong Kong. 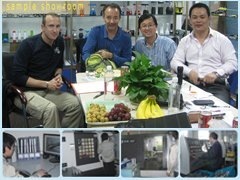 In Ningbo Hi-Tech Zone, China, there is a professional workshop with a team of experienced engineers and workers. All along, we focus on environmentally friendly & energy-efficient outdoor mobile LED lighting solutions. Our products include: LED flashlights, High Power Tactical LED Flashlights, Police High Power Tactical LED Flashlights, LED headlamps, LED solar lights, self-generating flashlights and others. Our products are widely used in families, camping, adventure, police patrol, maritime search and emergency rescue work. In order to meet quality requirements of international customers, we strictly implement ISO9001 - 2000 production standards, and ISO14001 environmental management system. Almost all of our products get CE and RoHS certifications. To ensure our customers' competitive strength in products, our team designs and develops customer-oriented products and exquisite packaging for different customers. In addition, we can provide OEM services to our customers based on customers' samples or designs. We always only focus on providing environmentally friendly & energy-efficient outdoor mobile LED lighting solutions to our customers. Welcome your visit. We will be happy to provide you with the best service and business facilities. Hope in the near future, we can establish and expand our friendly cooperative relationship on the basis of mutual benefit. 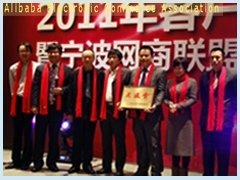 Shanghai Lele Industry Co., Ltd.
Ningbo Level Gas Appliance Co., Ltd.
Haining Lexin Ceramic Technology Co., Ltd.
Zhejiang Yiyuan Optoelectronic Co., Ltd.
Shanghai China Lithium Industrial Co., Ltd.